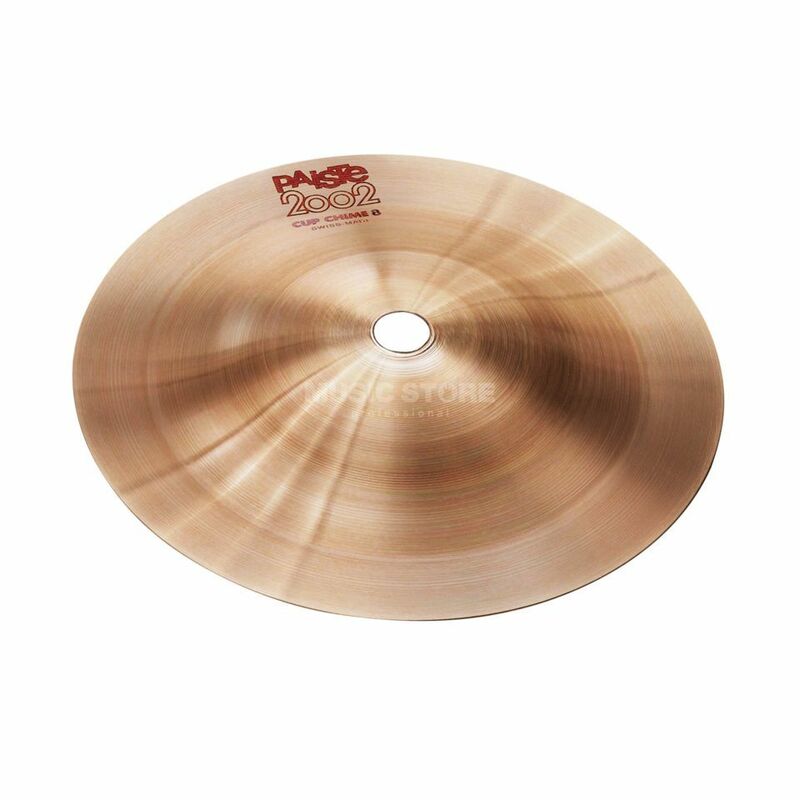 Paiste 2003 Cup Chime 8"
Since the early days of Rock'n'Roll the cymbals of the 2002 series have been influencing this music style through modern and innovative sounds. Through constant development and expansion of the program, the 2002 cymbals from Paiste are still the first choice when it comes to Rock, Pop, Blues, Metal or any other sytle of Rock'n'Roll. Built-up on the 2002 classic of the past, these cymbals impress with brilliant clarity, power and warmth and integrate themselves effortlessly and in a unique way with electrically amplified sounds from guitars basses, synthesizers etc. Due to its high energy level and the assertive attack, it effortlessly stands out and the sound remains clear and defined. Sound: Bright, warm, full: large frequency range, soft yet extreme address.